But it was not always thus. Back in the day Mykonos was just a poor, typical Cycladic island; still untouched by mass tourism. In fact the origins of the Mykonos nightlife myth may be traced back to Mykonos Bar, which opened in 1967 as a locals’ hang out. It was the place where Mykonians met after the traditional Sunday family lunch, to listen to their favorite musicians, drink and dance, socialize and be merry. Very soon the few tourists that visited the island at the time also discovered -and fell madly in love- with Mykonos Bar. Its patrons taught them how to dance the syrtaki; and how to break plates in sync with the music. In turn these absolutely ecstatic pioneers, spread the word about the crazy, frenzied, exuberant and exhilarating Mykonian nights. A myth was thus born and the rest is history. 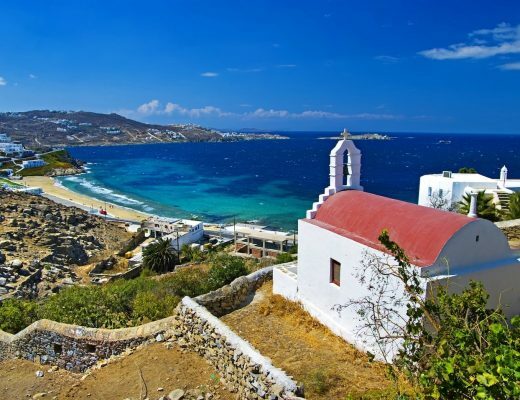 Everyone who’s anyone-European royalty, mega tycoons, ship magnates, famous actresses and actors, artists and politicians; in a word, the world’s elite-started coming to the island of the winds, to sample and savor the famous Mykonos nightlife. For decades its protagonist has been no other than Mykonos Bar. The iconic whitewashed spot in Little Venice which has been unfalteringly attracting visitors from the four corners of the planet; cosmopolitan hedonists and bon vivants who wanted to experience first hand what Greek style partying is all about. Until the beginning of the 90’s, when it was temporarily closed down, Mykonos Bar was the place to be in town, if not the whole island; and actually in itself a very good reason for which to go to Mykonos. This celebrated landmark, recently reopened its doors to once again welcome eager merry makers, Greek and foreign alike. 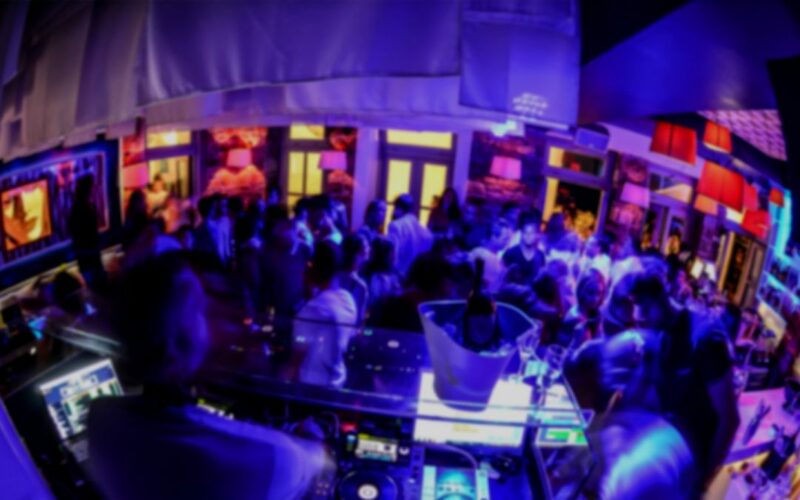 With its motto being “dance till dawn”, Mykonos Bar is nowadays the place in which all party animals gather after 4:00 am for a hearty dose of the trademark Mykonian nightlife. 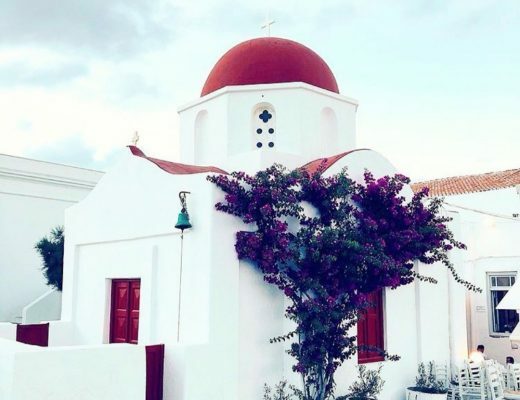 It is where you’ll get to see international celebrities getting swept away, letting their hair down and euphorically dancing on the tables; while singing along with the lyrics and throwing flowers in tribute to the most renowned Greek artists. Actually if you haven’t been to Mykonos Bar you don’t really know what Mykonos nightlife is about. Though your night should end here, it is also its culmination that counts. At Semeli, we surely know a couple of things about partying. So we suggest that you start your evening with sunset cocktails at Semeli the Bar, one of the most well-known-and beloved- establishments among Mykonos patrons; and Bao’s just a few steps away, at Little Venice’s most photographed spot. Then you may continue upstairs at Bao’s secret, a super elite private club, geared to the world’s glitzy, champagne sipping, paparazzi snapped, crowd; and of course later at uber fashionable Toy Room, to socialize with models, singers and A- listers and relish the concoctions prepared by the top mixologists in town. Indeed Mykonos is on fire; and its (in)famous nightlife is going stronger than ever. 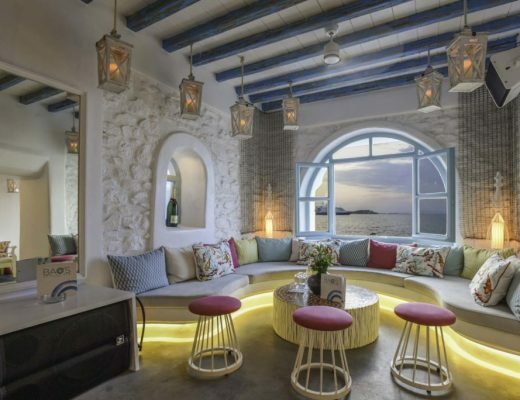 Make sure you visit the Semeli Group hotspots, before you return to your room or suite at the hotel, for a true taste of Mykonos nightlife; which you are bound to remember forever.